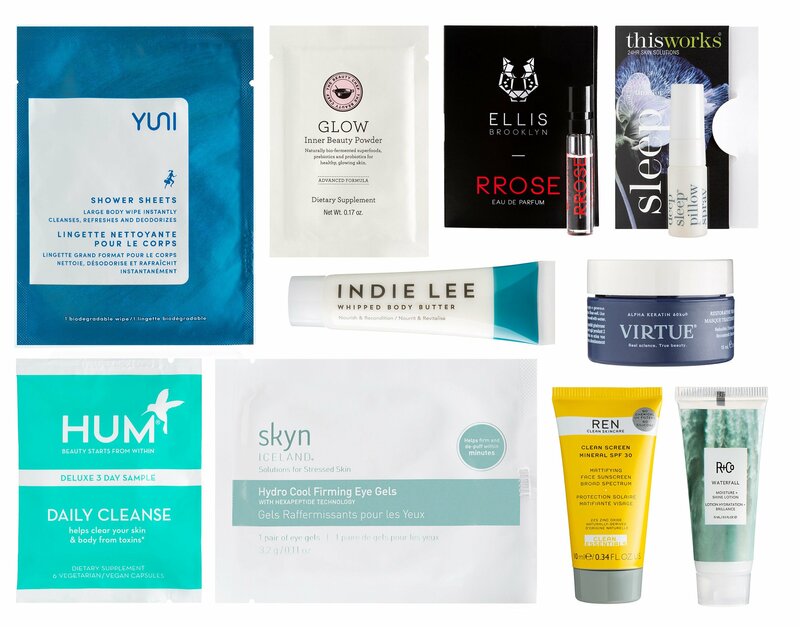 Top 14 Spring Limited Edition Beauty Boxes from Revolve, QVC, YesStyle, Nordstrom La Mer and more! I’ve rounded up over 14 new limited edition beauty boxes from Revolve x Pony, YesStyle Korean Beauty Boxes, Walmart Beauty Favorites Boxes, QVC Skincare Sample Box, La Mer The Miraculous Glow Set , Milk Makeup Kush Stash Bag at Sephora and Cult Beauty plus many more. Revolve (NEW) Revolve x Pony’s Play Box Makeup & Skincare Essentials $130. A $198 retail value. This post may contain affiliate links. Read the full disclosure. Five New Limited Edition Beauty Boxes for Valentine’s Day 2019 from FeelUnique USA, Birchbox, Jeffree Star, Laneige and SOKO GLAM. Plus, over 30 new beauty gift with purchase offers. FeelUnique US (NEW) Treat Yourself Edit Powered by Feelunique £30 (worth £95). This post may contain affiliate links. Read the full disclosure. I’ve rounded up gorgeous 10 limited edition beauty boxes for Valentine’s Day 2019 and Lunar New Year 2019 from Sunday Riley, Sephora Favorites Lunar New Year Kit 2019 (spoiler), Lookfantastic, Nordstrom, YesStyle and more! They are great Valentine’s Day gifts and Lunar New Year gifts! NORDSTROM (NEW)(HOT) CHRISTIAN LOUBOUTIN Loubivalentine’s Coffret $120 This post may contain affiliate links. Read the full disclosure. *HOT* Sephora Beauty Box Vs Ulta Prestige Sampler Box and Half Price Darphin! New limited edition beauty boxes are available now at Sephora and Ulta. Plus, free 8pc sample bag with $50 at Sephora and 21pc gift bag with $75 at Ulta. Luxury beauty fans, 50% off ALL Darphin!! Plus, new beauty gift with purchase offers at ASOS (new ASOS advent calendar), Clinique, Lookfantastic, Macy’s and more! Ulta (NEW) ULTA Luscious Lips & Lashes $29. A $106 value! This post may contain affiliate links. Read the full disclosure. Hi everyone, Bobbi Brown palette at Nordstrom is gorgeous. In this post, you will find out about Lookfantastic Advent Calendar 2018 US discount, Neiman Marcus La Mer Gifts and tote-filled beauty bag, New K-Beauty Box, Content Zero Wasted Kit, New luxury beauty at Barneys (27pc gift) and Bluemercury (25pc gift), enjoy! NORDSTROM (NEW) BOBBI BROWN Ready, Set, Party Deluxe Eye & Cheek Palette $99 ($446 Value). his post may contain affiliate links. Read the full disclosure. NORDSTROM — Receive a free luxe gift bag when you spend $125 on beauty or fragrance. A $104 value. This post may contain affiliate links. Read the full disclosure. I have three favorite beauty gift with purchase offers to share! Awesome 9Pc+ Clinique gift from Nordstrom (with extra surprise! ), Ulta new 6pc sampler bag, and Beauty Expert Gold Edition beauty box worth $400+. NORDSTROM (NEW) GIFT 1: Receive deluxe samples of Smart Broad Spectrum SPF 15 Custom-Repair Moisturizer (0.5 oz. ), High Impact Mascara in Black (0.14 oz.) and Pop Lip Color & Primer in Love Pop (0.08 oz.) with your $35 Clinique purchase. This post may contain affiliate links. Read the full disclosure. I wanted to share these great limited edition beauty boxes! Plus, new offers from Nordstrom, Ulta and b-glowing! Charlotte Tilbury (NEW) SUMMER MYSTERY BOX ($216 value) $132. This Magic Mystery Box is filled with 5 FULL-SIZE best-selling makeup and skincare MAGIC, perfect for the summer months! Get it while stocks last, for a glowing look you can wear from dusk ‘till dawn. This post may contain affiliate links. Read the full disclosure. If you missed this Liberty Advent Calendar, here’s the latest summer beauty kits from Libery London for £75 and under! The new skincare kit you need is under 20 bucks and it’s Play! Smarts Superfoods Feed Your Face! * This post contains spoilers. Liberty London (NEW)(HOT) Liberty London Life’s a Beach Summer Beauty Kit £75 – a value of over £220. This post may contain affiliate links. Read the full disclosure.